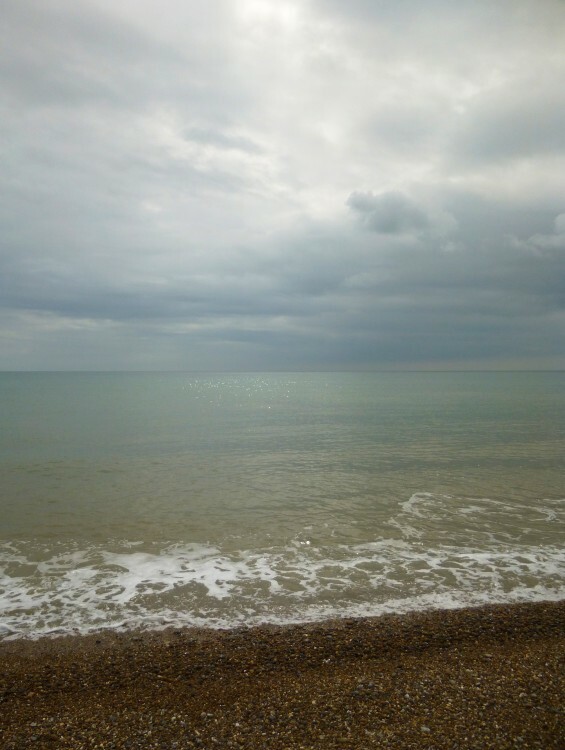 Just back from five days away having a little break in Aldeburgh on the Suffolk coast with my niece, Claire. We stayed in Neptune House, which is owned by a friend of a friend, and is only a very short distance from the beach, which was lovely. 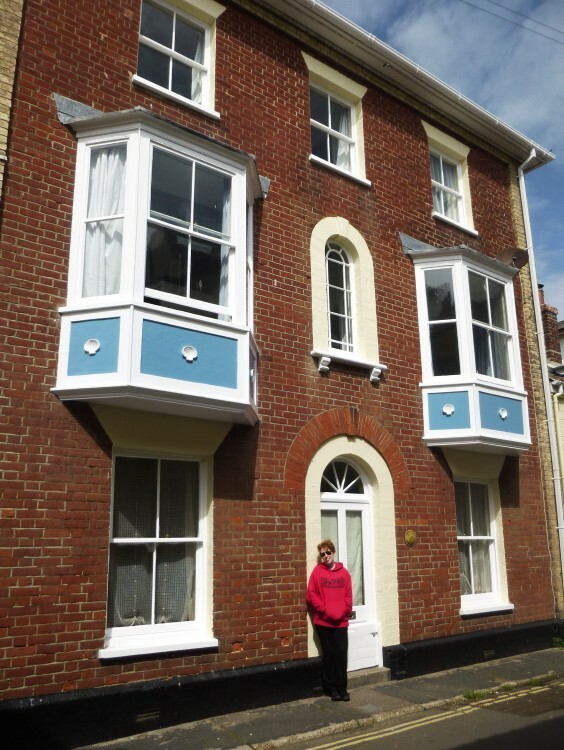 The house was enormous for just the two of us, but very comfortable. It was lovely to be able to lie and listen to the waves at night, but in the early morning the herring gulls started calling VERY early! They were everywhere! 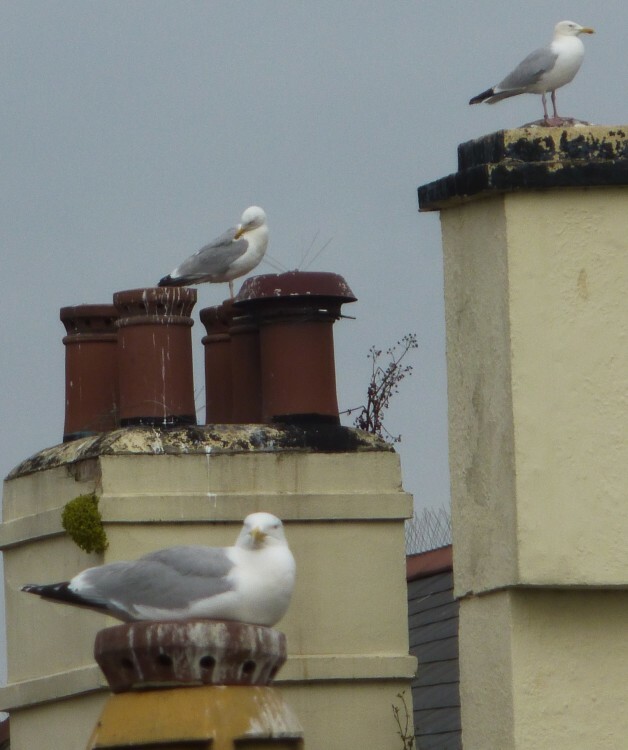 Every chimney had it’s gull . . . . . Herring gulls . 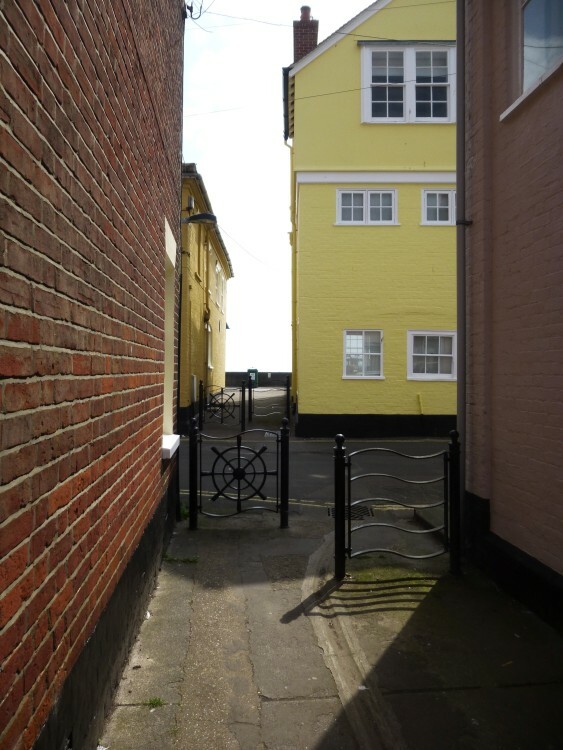 . .
By chance, we discovered that Steve Higton, who exhibited at this year’s Lexden Arts Festival, had an exhibition on at the Aldeburgh Gallery. It was good to see him again, and look at the work he was showing. And Thompson’s Gallery, also in the High Street, had half a dozen beautiful Edward Seago paintings – what luck! Needless to say I had taken lots of art materials, and although I didn’t do as much work as I expected, I did do some drawing and took photos for future painting ideas. The weather wasn’t wonderful in the first part of the week, but the effects of clouds and sea colour were striking. We had a potter round the complex of shops and galleries at Snape Maltings. There was a very interesting textile exhibition in the Pond Gallery there, called ‘Bread and Roses’ by the T.A.G.S. group (www.tags.org.uk) – just time to catch it if you are in the area – it’s on until 22nd July, open 10-5 daily. 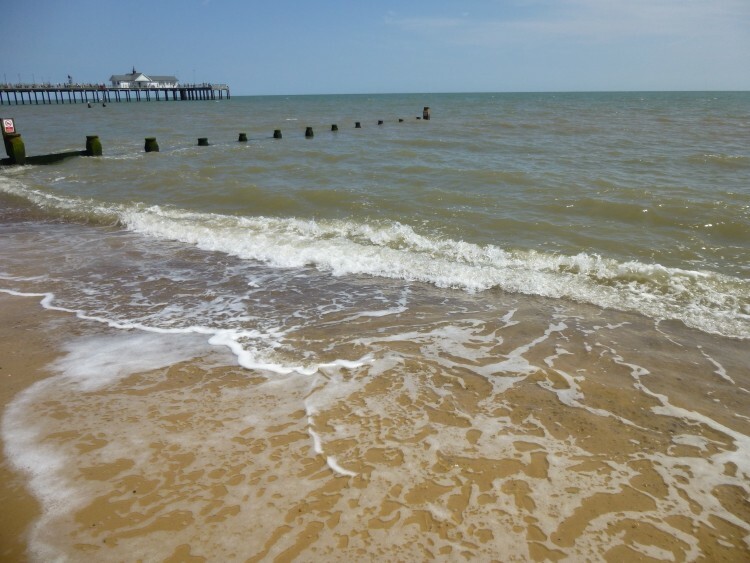 Our last day we spent up the coast a bit, in Southwold in glorious sunshine – tempting enough to have a paddle! Oh, I do like to be beside the seaside . . . . . .